U.S. Immigration and Customs Enforcement (ICE), by the president’s executive order, “Enhancing Public Safety in the Interior of the United States,” releases the Declined Detainer Outcome Report (DDOR) on a weekly basis. Detainers are placed on illegal immigrants arrested on criminal charges for whom ICE possesses probable cause to believe that they are removable from the United States. The list shows law enforcement agencies (LEA) that received a detainer request from ICE, but refused to comply. According to ICE, the Marion County Jail was on the list between the dates of January 28, 2017, and February 3, 2017. A detainer for a convicted illegal immigrant from Venezuela was sent to the jail on January 28 and declined on January 30. In uncooperative jurisdictions like Cook County, Illinois, and the City of Philadelphia, ICE is barred from interviewing arrestees in local custody. ICE says that these communities have a large number of criminals who have yet to be encountered by ICE. These criminals are often arrested by local authorities and released back into these communities without any notification to ICE. ICE said that many LEAs fail to notify ICE in a timely fashion. “The DDOR may reflect instances in which the LEA may have technically provided notification to ICE in advance of an alien’s release, but where the LEA did not provide sufficient advance notification for ICE to arrange the transfer of custody prior to release due to geographic limitations, response times, or other logistical reasons. In these instances, ICE records the detainer or request for notification as declined by the LEA,” a spokesperson said. Ocala Post reached out to the Marion County Sheriff’s Office, however, our request for comment went unanswered. 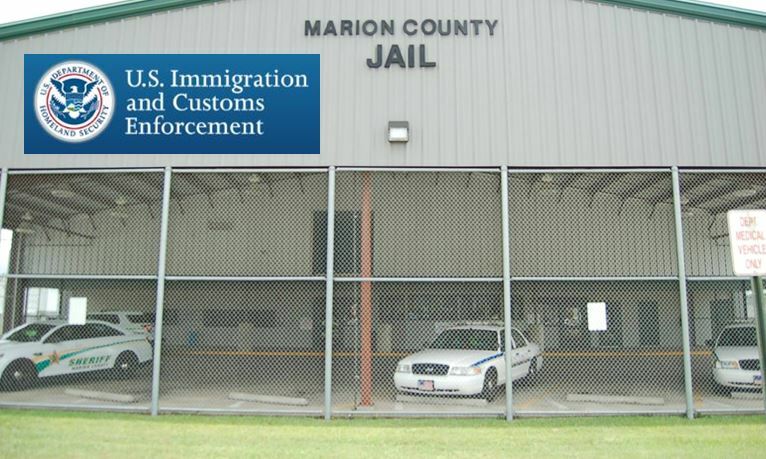 Ocala Post also requested that ICE compile a list of detainer requests for Marion County that were not honored, however that list was not available at the time this article was published. We want to hear from you. What do you think about LEAs declining to honor detainer requests? NOTE: Since the time this article was published, the Marion County Sheriff’s Office has refused to provide media releases to Ocala Post at the direction of Sheriff Billy Woods…breaking Freedom of Press laws as well as violating the Freedom of Information Act.